The founders of Banza and Misfit Juicery discuss their startups live on "GMA." The food entrepreneurs behind Banza and Misfit Juicery were highlighted on "Good Morning America" today as start-up companies with a mission to create social change for both health and the environment. The founders opened up about some of the best and worst career advice they have ever received, sharing their tips for others looking to launch their own culinary business. "Find people who have successfully done what you want to do and learn from them. 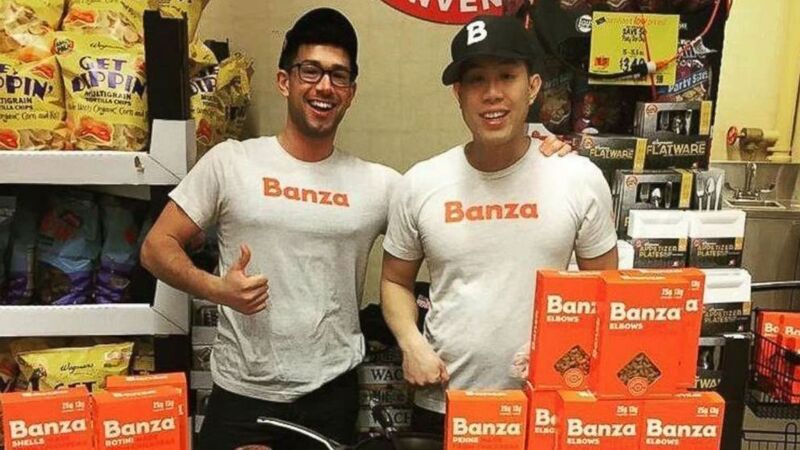 You'll be surprised how willing most people are to help," Brian Rudolph, the co-founder of Banza, a popular chickpea pasta company, told ABC News. Rudolph founded Banza with his brother in 2014, and the nutritious pasta line soon skyrocketed in popularity, becoming available in 5,000 stores nationwide. Rudolph is now passing on the knowledge that he has learned by mentoring Ann Yang and Phil Wong, the creators of Misfit Juicery, a startup focused on eliminating food waste and creating cold-pressed juices with produce that would otherwise go to waste because of the aesthetic standards of the food industry. (Courtesy Banza) ABC News' Robin Roberts interviewed the creators of Banza, a chickpea pasta company, as part of her "Taking Care of Business" series, which highlights companies that give back to their communities. Yang echoed Rudolph's sentiments about the importance of relationships, telling ABC News that the best advice she has ever received is to "talk to people who are smarter than you." "Then if you're lucky, you get to hire people who are smarter than you. It's a really great deal. The people you meet along the way make everything worth it -- the hours, the stress, the moments of self doubt," Yang added. What is the worst career advice you have ever received? 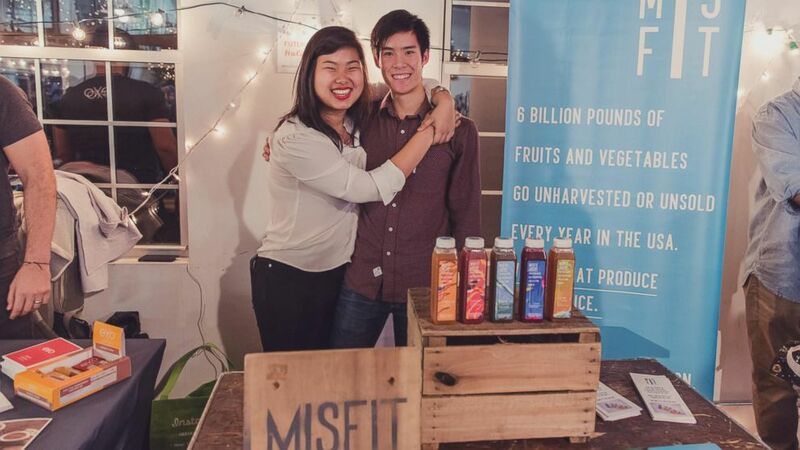 Yang, who started Misfit Juicery in 2015 with Wong while the two were students at Georgetown University, said that the worst advice she has ever received is to be afraid of failing. "I now know that you have to fail a little bit every day in order to learn and improve," Yang said. (Courtesy Misfit Juicery) ABC News' Robin Roberts interviewed the creators of Misfit Juicery as part of her "Taking Care of Business" series, which highlights companies that give back to their communities. Rudolph said the worst advice he has ever received is when someone told him, "You have to pick between work and your personal life. You can't succeed at both." "Success in business can come and go, but relationships are lasting," Rudolph said. "Not only that, but relationships can get you through your most challenging times professionally. So to choose between one or the other seems misguided." What is one career lesson you wish you had learned earlier? Yang said one lesson she wished she learned earlier in her career is that, "There is nothing more powerful than women supporting other women professionally and personally." She adds that her female mentors and friends "are my support and my inspiration." Wong said a career lesson he wished he had learned earlier is that "humility and confidence aren't mutually exclusive." "You need to be able to question your assumptions and perspective without worrying whether you deserve to be in your position in the first place," the entrepreneur, whose company launched out of his college apartment and is now partnering with Whole Foods in New York City and Washington, D.C., told ABC News.